Invisalign® Can Now Be Completed in Half the Time! 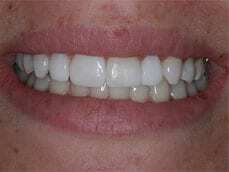 The latest iteration of Invisalign can now provide the same great results in approximately half the time. The upgraded aligners use a new type of material that can move teeth into position faster than ever before. Instead of wearing each aligner for typically two weeks, many patients can wear them for just one week before moving on to the next tray in the series. We will go over this exciting development with you during your initial consultation so that you be well-informed about the new reduced treatment time. Invisalign is an innovative orthodontic technique that uses a series of clear aligner trays to gradually shift teeth into the proper position. 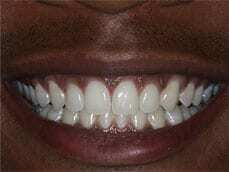 Invisalign teeth aligners are removable and customized to suit the needs and goals of the patient. As a result, this treatment is one of the most popular orthodontic options available. At Coleman & Coleman Advanced Dentistry, we are a #1 Elite Provider for Invisalign, and our experienced cosmetic dentists can determine if this method can help you achieve your desired outcome. Designed for greater comfort and more discreet treatment than traditional braces, Invisalign and Invisalign Teen offer adults and teens a convenient way to straighten their teeth. Invisalign uses a series of custom-designed trays (all clear and removable) to gently move the teeth into the desired position for improved function and beauty. The shape of the aligner applies light pressure to the teeth that are out of alignment, shifting them into the right place without using wires, brackets, or metal pieces. Just like traditional braces, Invisalign can address a wide range of dental concerns, including overbite, underbite, crossbite, misalignment, gaps between teeth, crowded teeth, and more. 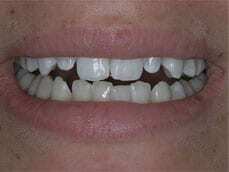 This advanced treatment offers numerous advantages over metal braces. Invisalign has no metal parts that can abrade the sensitive gums, lips, and tongue. Additionally, fewer appointments may be needed with Invisalign than with traditional braces. Many teenagers and adults also find the highly visible nature of metal braces unappealing, and Invisalign offers a discreet alternative. Other individuals appreciate the opportunity to remove the aligners for special situations, something that cannot be done with metal or ceramic braces. Of course, every patient is unique, and we will evaluate your needs and goals to determine if Invisalign or another orthodontic technique can provide the optimal outcome for you. What Is the Invisalign® Treatment Process Like? When you arrive for your initial consultation, Dr. Coleman or Dr. John will take 3D images of your teeth and oral structures. 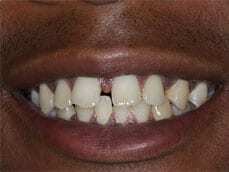 This information will then be sent directly to Invisalign, where they will produce custom-fit aligners for you to wear. Each clear aligner should be worn for about one to two weeks before you move on to the next tray in the series. Aligners can be removed to eat, drink, brush, and floss; however, they should be worn at all other times to optimize benefits! Take A Look Inside Our Practice! How Long Does Invisalign® Take? 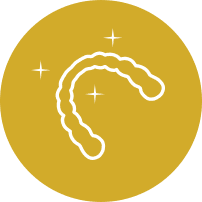 The amount of time it will take to complete your treatment will rely on several factors, including the severity of misalignment, how consistent you are with wearing the aligners, and other considerations. 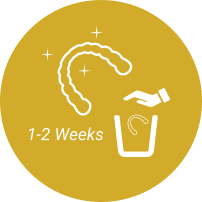 Depending on your unique treatment plan, the Invisalign process can take between 6 and 18 months to complete. We will go over the expected timeline with you during your initial visit so you can be well-informed about the length of the procedure. If you have any questions, we will be happy to address them. We want you to have all the information you need for the swiftest and most comfortable treatment possible. 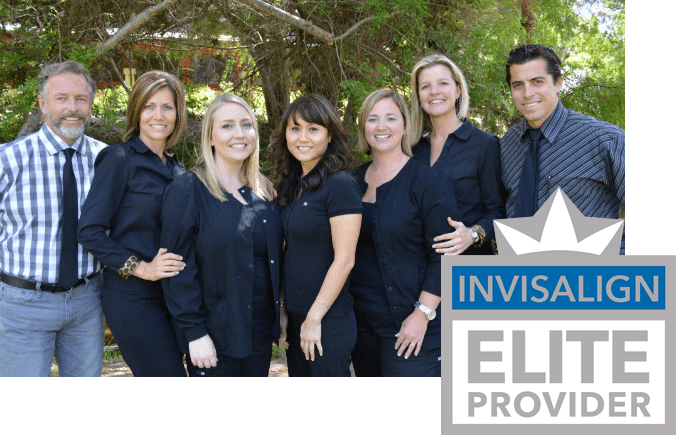 How Much Does Invisalign® Cost in Vista, CA? The price of Invisalign generally ranges from $3,500 to $8,000, which is comparable to that of traditional metal braces. This wide range is due to the fact that Invisalign offers many options, known as Express, Limited, and Full Treatment, and each has a different associated cost. In addition, the number of aligners you will need, the complexity of your program, and various other considerations will go into determining the final expense. As a result, we will go over the cost of your treatment plan with you during your initial consultation. If you have dental insurance that offers a reduced cost for braces, Invisalign will likely also be included. If you plan to pay out of pocket, we work with dental financing companies that can help you bring the cost of treatment into your budget. 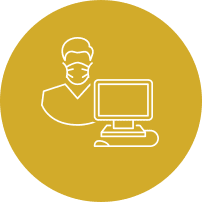 For more specific price information, try our Free Online Estimate tool to see if this treatment may be right for you. Please fill out the form below, and a member of our dental team will be in touch with you soon. Why Choose Us as Your Invisalign® Providers? Invisalign simplifies things for the patient, but the procedure still requires dental professionals with a great deal of experience and training in orthodontic treatment to perform well and with success. Our dentists have been named #1 Elite Providers by Invisalign due to our experience, skill, and expertise with this technique. While all Invisalign providers are trained in this method, only a small percentage are designated Elite Providers. Look for this classification when considering which dentist to choose for your treatment. If you have additional questions about Invisalign and the Elite Provider status, we will be happy to address those during your initial consultation. Our dentists have been named #1 Elite Providers by Invisalign due to our experience, skill, and expertise with this technique. Invisalign can be a great option for many people, but it’s not for everyone. If this treatment is not right for you, we can discuss some of the other options that can help you achieve your smile goals. If you have minor misalignment that’s primarily cosmetic in nature, porcelain veneers or cosmetic bonding may be able to conceal these issues and give you the stunning smile you’ve always wanted. If more significant gaps, crowding, or other concerns exist, we can recommend another orthodontic approach. In addition to Invisalign, we offer Invisalign Teen, which is designed for the needs of young people under the age of 18. Invisalign Teen works the same was as Invisalign, with clear aligner trays used to shift the position of teeth. Many adolescents prefer Invisalign for its greater comfort and less noticeable appearance, and we can determine if this method is right for your child during their initial appointment.